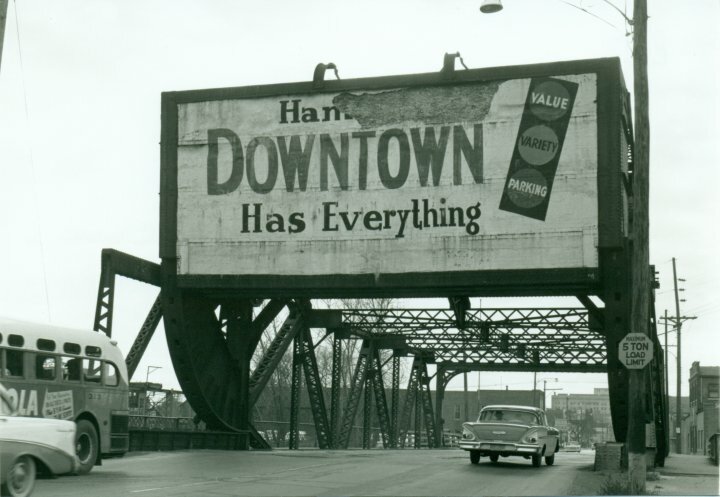 A faceless city sandwiched between equally dull, non-descript neighburbs, all working-class in the shadow of industrial giants, Hammond, Indiana was generic, before the meaningless word had meaning. Separated from lurid Calumet City, the Illinois home to 252 bars and strip clubs, by State Line Avenue and a tangent on the Rand McNally atlas. 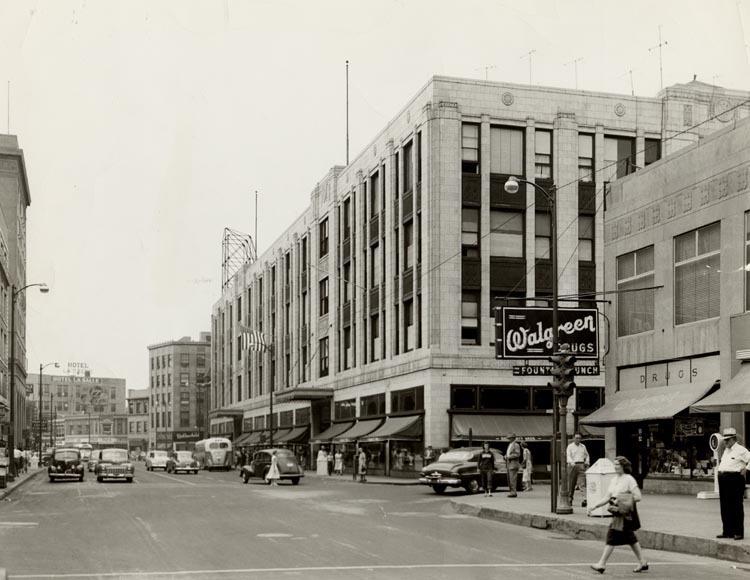 From the playwright’s perspective, Thornton Wilder, Hammond was Our Town. The writer, Sinclair Lewis, would have gagged on the polluted air from the Sinclair refinery, from the belching furnaces of USSteel, from the omnipresent aroma of pig fat rendered by Lever Brothers when the wind drifted south off Lake Michigan, all in the name of battleships, Lifebuoy Soap, Ivory Flakes, and 89 octane Dino Supreme. Had this been Lewis’ Main Street in Indiana, and not Iowa. presented the newest toys for the Holiday Season. In Jean Shepherd’s ‘Christmas Story’, it is where Ralphie first saw the Daisy Red Ryder BB Gun. 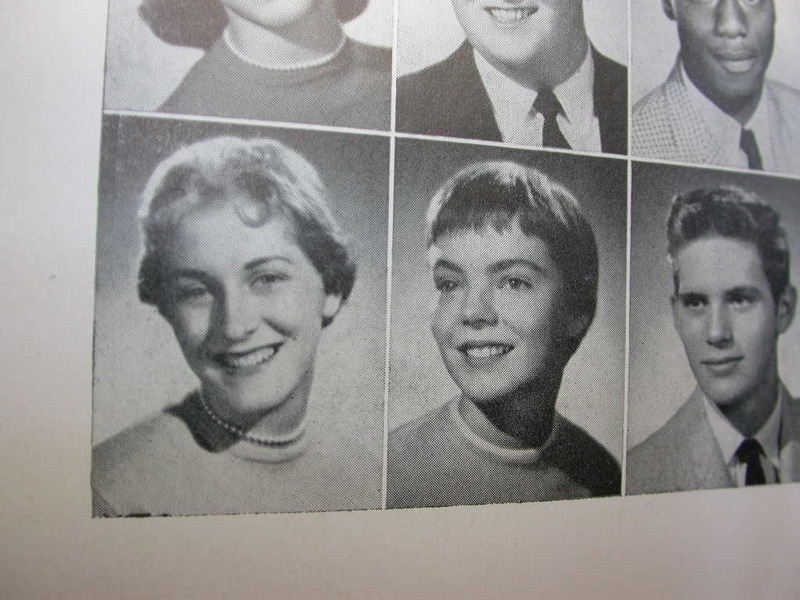 The 1957 high school graduating class was thought special. It was not. Tens of thousands of seniors, everywhere, were gelatinized by geographic lottery, turbulent hormones, acne, fear of peer rejection, sexual arousal, and a license to drive. So it was at HHS, neither a Blackboard Jungle, nor the Fonz in ‘Happy Days’. Each class different, each class alike; crinolines, flattops, bobby sox, and the Cubs finishing last. Homeroom teacher, John Muri, spirited organist for the Civic Center basketball games, iconclast, strict disciplinarian, was known to break wind at 8:10 each morning. The foul odor was overcome by the classroom stench of flesh-tinted Clearasil except for the likable Jerome Johnson, whose flesh was a different color. The permanent positive effect of demure spinster, teacher Margaret Work, and her devotion to Latin and literacy, was never acknowledged. It shaped many lives, mine included, and I still retain her text, Ullman & Henry, “Latin for Americans”. She was on my Mason Street paper route, but what I remember most, (a) the difference between the gerund and thirty forms of the future passive participle, and (b) we bought her father’s used 1940 DeSoto after WWII. Henry had purchased a 1948 bullet nosed Studebaker. The suppressed memory of my favorite English teacher, Miss Ellen McGranahan, whose posterior aspect of her calves, partially obscured by seamed nylon hosiery, resembled the blue and red interstate map of America’s east coast. She quietly and singly, urged me to become a writer. I succumbed, however, to the gruff math teacher, Charles Garrett, who demanded, in the name of patriotism, that we study math and engineering to counteract the Red Menace……the Soviet launched Sputnik satellite. I foresaw no future in starvation; on an empty stomach, science trumped art. Proof that staying awake in class was important; to this day, I rarely end a sentence with the preposition, at, and never, never, modify an adjective with an adjective, e.g., large huge is where it’s at. Unless you prefer butchered rap music over silence. I had one favorite female class member, admired secretly. She was quiet, soft-spoken, and very smart. And in the basest, understated description, simmering hot. If describing a wallflower, she was an orchid. At a previous reunion, perhaps the 40th, her appearance caused two male counterparts and me to audibly gasp at the transformation…silver-haired, petite, and stunning. Although both Bob and Tom, their real names, have since dropped dead, the gorgeous (forever unnamed) classmate was never formally charged with involuntary manslaughter. Much of the class of ’57, I remember, although in the pie of life, a third now constitute the necrology report, another third lost and forgotten, and for the breathing balance, the vagaries of advanced age move onto center stage; medicare part-D, dementia, grandchildren, mobility chairs, and assisted living options. Few will choose assisted dying. Dismissed: corporate stature & titles, tax bracket, size or number of homes, skin color, popularity, vanity. All once relegated as important, now insignifigant, they’ve become the compost heap of righteousness, i.e., who really gives a s#it. Relevant: family, friendships, lucidity, and remaining vertical. The misses, Work and McGranahan, embraced reading (and writing), pursuits which have become passe, no longer a requirement for graduation. Both ladies have since been bar-coded and scanned on the check-out lane of life, free, free at last, from the contemporary jargon that produces the idiotic phrase “my bad”. I miss them dearly, thankful for enriching this life. A non-perishable memory. Wherever and whenever those who survived this stepping stone to adulthood, we all possess private recollections. With an internet assist, our remaining classmate leaders, those not yet at room temperature, may plan a 60th reunion in 2017. Reunions, like Chai tea, are not my cup of gin, but we’re late in the 4th quarter. With no time outs remaining. Count me in as a yes. Where is it again that we are going… And why are we in a handbasket?